At Minnesota Green Communities, we’ve been hearing more and more frequent requests for assistance in successfully engaging residents in sustainability living. Building owners know they – and residents – won’t see the full energy and water efficiency benefits or the health benefits of building green if the residents aren’t on board, too. I saw Christie Manning present a workshop of basic social psychology principles that highlighted clear tips on how to motivate sustainable behavior at the 2011 Duluth Energy Design Conference based on her publication, The Psychology of Sustainable Behavior. When you can get a room full of builders excited about and discussing psychology, you know you’ve got a hit. 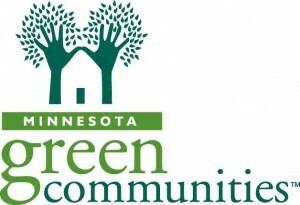 So, with Minnesota Green Communities, I organized a workshop called “Engaging Residents in Sustainable Living.” It was was so popular we repeated it a second time, and may do it again. The day starts with Christie’s presentation, is followed by a Resident Engagement Training in a Box module, and finally the whole seminar then applies the principles Christie presented to evaluating the resident training in a discussion. But really, the whole report is worth a read, and if you get a chance to see her, go! Posted on Monday, December 5, 2011 by Janne Flisrand. This entry was posted in Facilitation, Green Building and tagged communicating, residents, training. Bookmark the permalink.